Looking for a home is not easy. Finding the perfect area for you and your family will depend on many factors. Add a few horses into the mix and that search just got a lot harder. 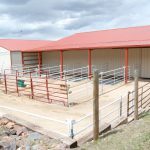 Finding the property with the right stable and pasture spaces can be hard. 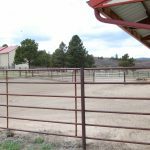 Your friends at Colorado Horse Property suggest that the best way to see if an area is suited for your horses is to bring them into the area. When searching for a new house, don’t you like to take a look at it first? Well, the same thing can be said for your horses. For a lot of horse owners, this could be an impossible task. Searching for a new home is hard enough for you and your kids. Having to worry about carting your horses up and down the state of Colorado puts stress on you and your horses. That’s where horse boarding could really benefit you. Horse boarding is a service to keep horses for a fee. 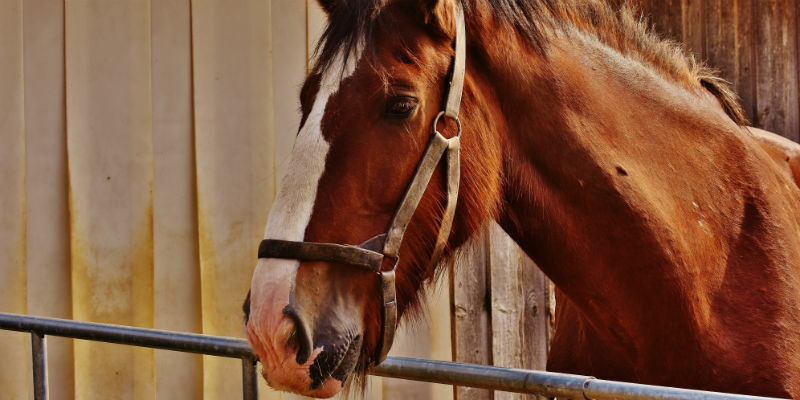 There are many horse boarding services in Colorado. 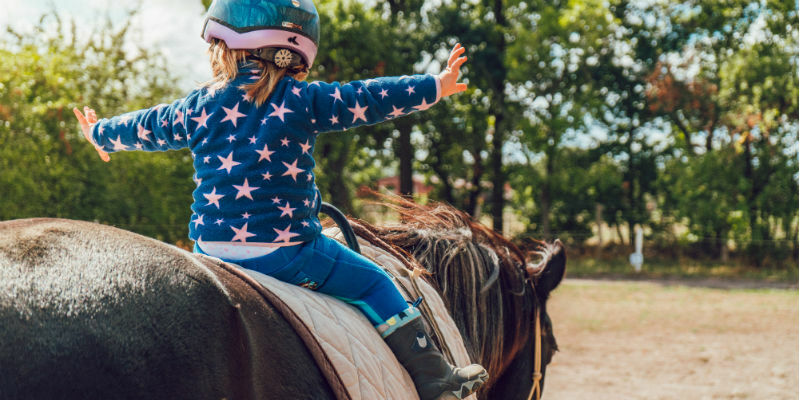 When choosing where to board your horse, ask yourself “what is important to me when looking for horse boarding near me?” Does your horse like to graze? Does your horse need amble trail riding during the day? 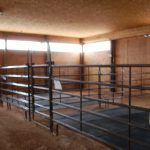 Do you need access to a round pin or arena for training? If you said yes to these questions, then WZ Ranch is the horse boarder you’ve been looking for. 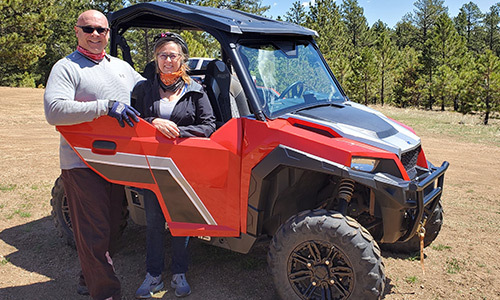 Ran by husband and wife team, Tom and Phyllis Ellis have been in the boarding business since 2015. If regular horse boarders are horse hotels, WZ Ranch is the horse Hilton! 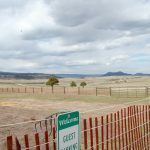 Located just off of I-25 between Colorado Springs and Denver, WZ Ranch has everything that you and your horses could need. 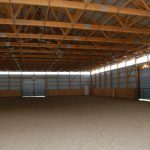 The ranch boasts grand indoor stalls, paddocks with loafing sheds, indoor and outdoor runs, a round pen, a large arena, and several grazing pastures as well. 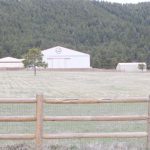 The Ellis team moved to the Palmer Divide from Texas with the dream of offering spacious, clean, and safe spaces for horses all over the state. You will definitely want to pick their brains, since they have thirty years of experience with horses and the rodeo circuit. They can also connect you with the best clinicians and farriers in the area. 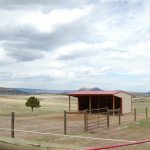 To make things more convenient for you while looking for your Colorado horse property, WZ Ranch has LQ-RV pads with hookups so that you don’t have be far away from your horses. Enjoy the Spruce Meadows and Greenland Open Space equestrian trailheads that are only a few miles away. For more details, visit the WZ Ranch website. If you need help looking for a horse property for sale, contact one of our horse-person realtors today. Also, check out of local resources page for more information on the horse services that Colorado has to offer. Taken by Colorado Horse Property with permission from Tom and Phyllis Ellis of WZ Ranch. It is a common misconception that Colorado does not have rivers and lakes. In fact, some of the best boating lakes in Colorado are the most beautiful in the world! The following is a list of the best boating lakes in Colorado, put together by your friends at Colorado Horse Property. 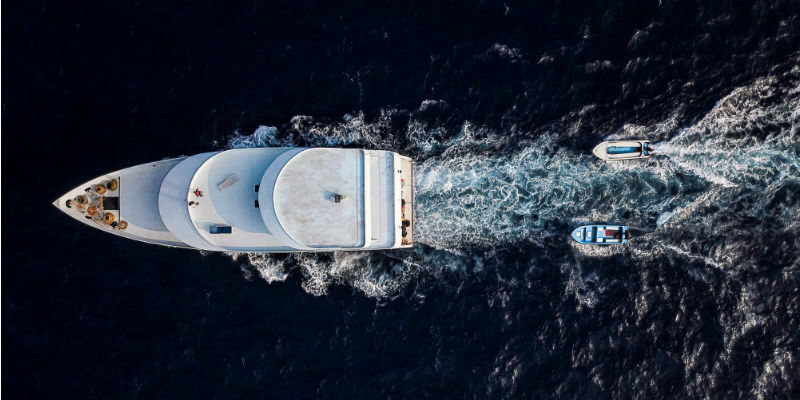 If you find yourself looking for properties for sale in Colorado near these great boating spots, search Colorado Horse Property. We have over three thousand listings. Chatfield Lake receives boaters from all over the state. The lake is a popular summer destination, where visitors take advantage of its impressive waters. It is located just outside of the Denver Metro Area. Boaters enjoy everything from fishing to water skiing on the lake’s pristine waters. The reservoir houses a full-service marina including boat rentals and a floating restaurant. Another boating paradise is Grand Lake, located at the headwaters of the Colorado River. Grand Lake is Colorado’s largest and deepest natural lake. Bring your boat and have fun swimming, participating in water sports and of course fishing. The historic Grand Lake Marina offers pontoon boats, whalers, kayaks and canoes for rent. Also, Grand Lake has some of the best view of the Rocky Mountains. Also, Granby Lake is great for boating. Granby Lake is one of Colorado’s largest bodies of water. It has approximately 40 miles of shoreline. 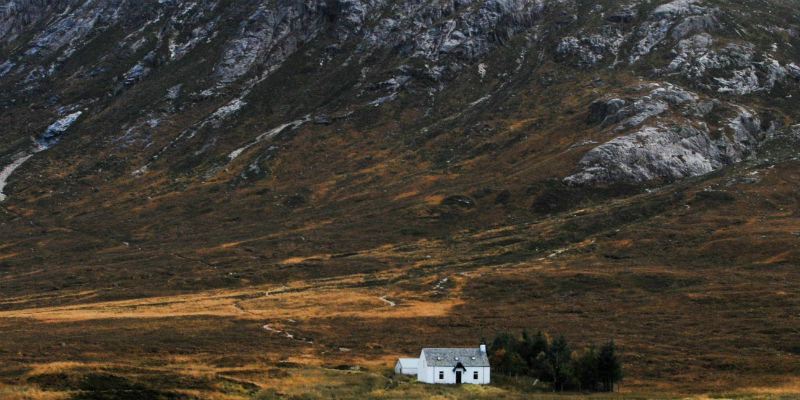 It sits at an altitude of 8,280 feet. The lake is home to the famous Lake Granby Yacht Club. Let’s not forget about Boyd Lake! Boyd Lake is located in Northern Colorado, one hour north of Denver. Boyd Lake has approximately 1,700 acres. Like other lakes, Boyd offers swimming, boating, fishing, picnicking, hiking, and biking. Photo by Shaah Shahidh on Unsplash. 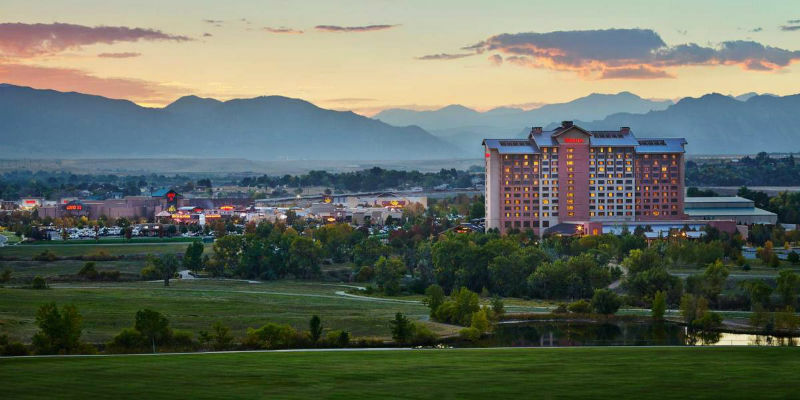 As a northwest suburb of Denver’s metropolitan area, Westminster Colorado has a lot to offer any horse lover looking to move to Colorado. Westminster is close to many great trails where you can take your horse for a ride. These include Little Dry Creek Trail, Farmers’ High Line Canal Trail, Rocky Mountain Greenway, U.S. 36 Bikeway, and Big Dry Creek Trail. One of the areas in Westminster with the most striking views is Standley Lake Regional Park. Just imagine the sparkle of the sun shining off the surface of the lake with the Colorado Rocky Mountains lining the background. Colorado is full of beautiful landmarks. Besides the picturesque trails in the Westminster area, there are also man-made landmarks. The Westminster Mall opened in 1977 and has seen many successful additions over the years before its closing in 2011. Another famous landmark is the Westminster Old Spaghetti Factory. Contrary to what it sounds like, The Old Spaghetti Factory is not a decrepit old building, it is a thriving Italian restaurant that was founded in 1969. The restaurant is still a Westminster staple to this day. Also landmarks of the community, you will find The Westminster Library and Westminster High School. You can also visit the magical Westminster University, commonly known as the Westminster castle. This building is listed on the National Register of Historic Places. Looking for a great horse community to move into? Westminster is a great place to raise your horses. Westminster has some of the leading companies to work for in the country, including Ball Corporation and Alliance Data Systems. There are horse properties for sale in Westminster Colorado right now! 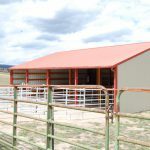 If you are thinking about building a horse stable or barn in Westminster, make sure to read the Westminster land use code before getting started. In Colorado, tiny houses built on a foundation are more legal than tiny houses on wheels. But when it comes to building tiny houses on wheels (THOW), don’t loose hope. Some jurisdictions in Colorado consider THOWs as residents if certain conditions are met. Permanently affix your tiny house on wheels to the ground. Hook it up to utilities and built it to the necessary safety standards. 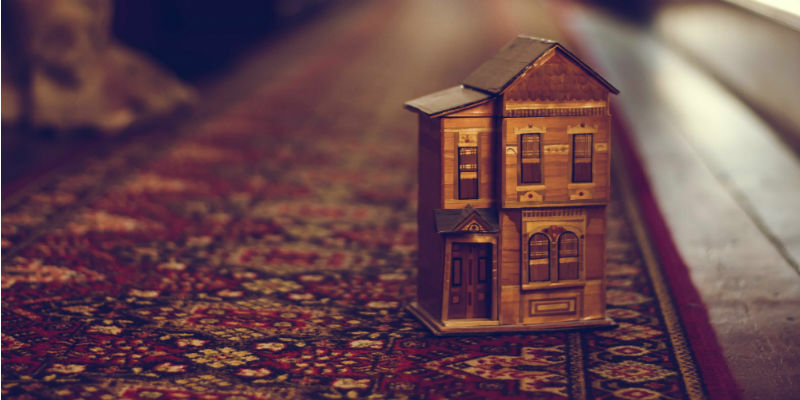 Even if a THOW is legal where you live, you also need to confirm the THOW can be used as an additional dwelling unit. However, ADUs are not lawful in every zone. If your local government does not allow THOWs for residential use you can change it. Start by asking about the process for amending the zoning code to make them legal. The journey to legality will be costly and time-consuming. However, enough political pressure on your local government will lead to change of the land use code to allow tiny houses. Know what building and safety standards will apply to the construction of your tiny house on wheels. You will have to self-certify that it will meet Recreational Vehicle Industry Association standards. These will need to meet the American National Safety Institute standard 119 or manufactured home building standards. You can also contact your local building department for the safety standards that apply to you. Tiny houses pose unique challenges to local governments. It may be tempting to forgo the permitting process. A neighbor could file a complaint and your local government may force you to remove your THOW and pay a fine. If you are looking for a horse property in Colorado, contact one of our horse-person realtors at Colorado Horse Property. Image by callmewillen on Pixabay. Though the tiny house community continues to grow, it still isn’t legal to build them for full-time use. Zoning laws and tiny house regulations require a minimum square footage for new-construction homes. The journey to reduce this minimum is a slow and arduous one. But don’t give up just yet. You can count with your fingers how many cities have directly addressed tiny houses. 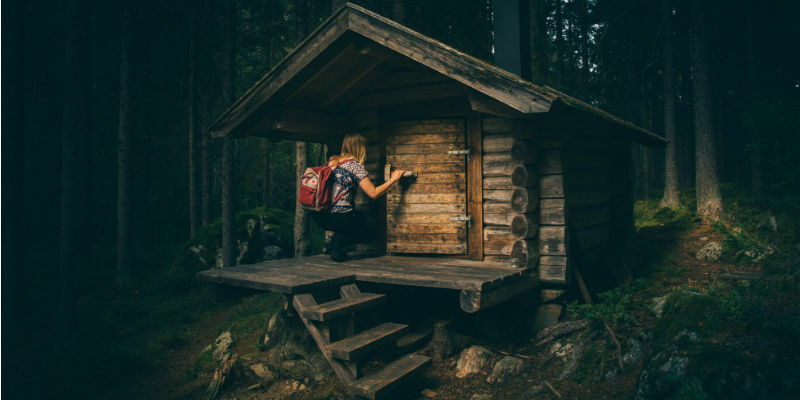 Though there’s a lot of enthusiasm on tiny house living the zoning codes and tiny house regulations are often confusing. Most people feel intimidated to go to their local governments with their questions. The recent activity in the community has been ran by grassroots organizers. They have pushed cities to accommodate tiny homes all by themselves. These small town groups asked their government officials for changes to local building and zoning codes. Therefore, new tiny house ordinances are very specific to the town or city they are approved in. We also now have the American Tiny House Association. This association has rounded up regulations for many states, as well as contact info for state chapter leaders. For the states without new regulations, your only option is to petition your own city for tiny house friendly zoning changes. We have gathered a lot of information on tiny houses for your convenience. In the state of Colorado, tiny houses on wheels are recreational vehicles in the eyes of the law. For more information on the legality of tiny houses on wheels in Colorado, read “Is Tiny House Living Illegal in Colorado.” Your other option is to build a tiny house on a foundation. 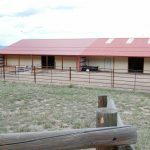 For more information on this type of tiny house living, read “Additional Dwelling Units in Colorado.” If you are looking for a horse property in Colorado, contact one of our horse-person realtors at Colorado Horse Property. Image by WinnieC on Pixabay. As we discussed in “Is Tiny House Living Illegal?“, tiny houses on wheels (THOW) aren’t legal in Colorado as a permanent structure. However, you can always travel with your THOW and park it legally. This is a strategy that many THOW owners have adopted. So you’ve registered your tiny house on wheels as an RV and plan to travel with it, now what about tiny house parking? You could stay in a friend or family member’s backyard or park on their driveway. You could pay to stay at a camping or RV site. The latter will be temporary. Also, Colorado prohibits RVs as full-time residences in zones other than RV parks. Rules are only enforced when your tiny house on wheels is reported or complained about. This rarely occurs. Building a tiny house on a foundation is more permanent. Zoning and building regulations will prohibit you from buying land and building your own tiny house on it. Instead, you’ll have to build an additional dwelling unit. For more information, read our article on additional dwelling units. ADUs are sometimes built around one larger structure. This is known as a tiny house community. Local building codes have been adopted from the International Residential Code (IRC) for one and two-family dwellings. This specifies that bedrooms must be at least 70 square feet, while ceiling height must be at least 7 feet. However, zoning regulations are based off more local factors, and determine the size requirements of your home based on what zone it’s located in. However, you will need to call your local zoning or planning department to find that info. Most local governments require a minimum size requirement of 1,000 square feet or more for construction of a new home on its own land. 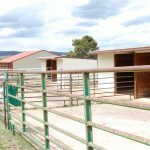 If you are looking for a horse property for sale in Colorado, contact Colorado Horse Property today. Image by ArmbrustAnna on Pixabay. Affordable housing is a priority for many Coloradans in this current economic climate. Tiny houses on wheels are not legal in Colorado. Good news, there is another option. You can take advantage of tiny homes built on foundations in your backyard, called ADUs. 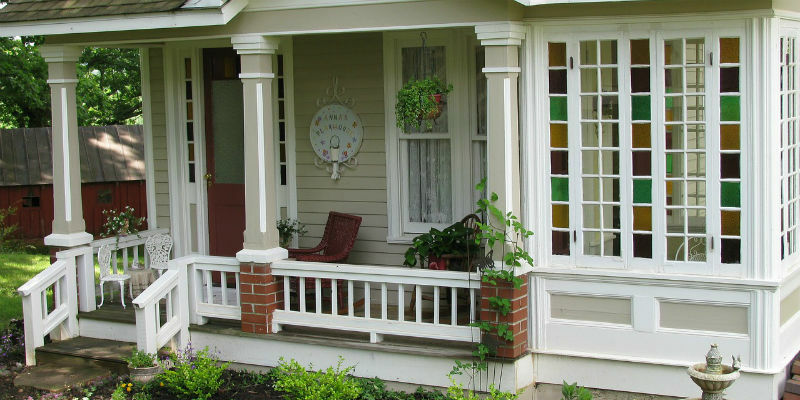 These Additional Dwelling Units (sometimes called granny flats) are self-contained apartments in an owner occupied single-family home or lot. Homeowners who want to make the transition into tiny house living can construct an ADU in their backyard, and live in the ADU while renting out the house. The number of ADU permits issued annually in Colorado has risen and the trend is still on the rise. Make sure to research your city’s land use code to insure there are no hidden restrictions. In the past, cities have been known to ban ADUs. Likewise, some areas can have restrictions on size, owner occupancy, and parking. While many states are lagging behind, Colorado cities have adjusted their regulations to encourage more ADUs. There are a lot of social and economic benefits of living in a tiny house. ADUs are great because they allow people housing flexibility over time. You can design your ADU to be more accessible to the elderly. This will allow you to stay in your neighborhood as you grow older, and at less cost. ADUs are also great for parents, caregivers, adult children, and grandparents. ADUs use fewer resources like gas and electricity due to their size. They’re often built in walkable and bikeable areas, so their residents generate less of an environmental impact. This includes traffic, harmful emissions, and noise pollution. They greatly reduce the per capita residential footprint. ADUs help fill the need of one and two person households in cities. ADUs have a significantly less infrastructural impact on a city than most apartment buildings. Read more on Tiny Houses in Colorado on our blog. If you are looking for a horse property in Colorado, contact one of our horse-person realtors at Colorado Horse Property. 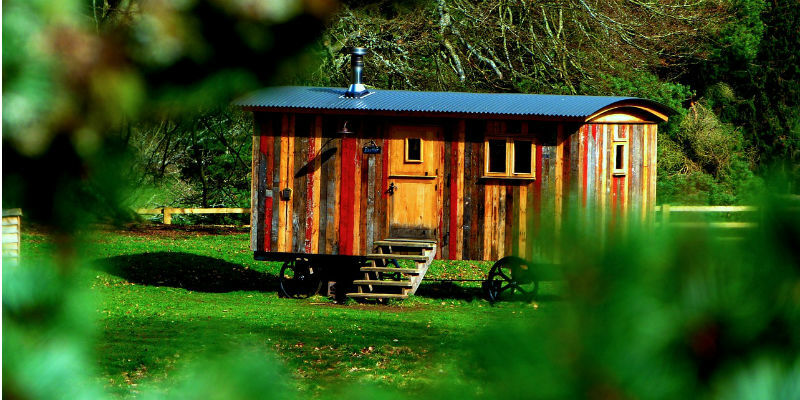 The Tiny House Movement has been gaining a lot of momentum in the past couple of years. Many Coloradans are leaving the busy city life to a more quieter life in a small home. With less bills and material things to worry about, tiny house living might be for you. However, tiny houses are a controversial topic that begs the question: Is full time tiny house living illegal in Colorado? For some, the answer is just as controversial. Despite the growth in the tiny house community in Colorado, is tiny house living illegal in Colorado? Technically, yes. If you have a tiny house on wheels (or THOW), Colorado considers that structure an RV. RV’s are not legal as a permanent address. Tiny house living is a legitimate means to address affordable housing problems in Colorado. However, they unfortunately have not gained widespread acceptance. A tiny house built on a foundation is legal, while a tiny house on wheels is illegal. You can still have a THOW, just not as a permanent address (in most zoning districts in Colorado). For example, in Parker, Colorado, a tiny house built on a foundation is legal despite its small floor size. Land use codes differ by the district in the state of Colorado. If the land use code distinguishes between a THOW and one on a foundation, then the foundation option will be the legal one. For more information on tiny house living in Colorado, check out our article Build a Tiny House in Your Backyard in Colorado. Stay tuned to our blog for more information on tiny houses coming soon. If you are looking for a horse property for sale in Colorado or land for sale fit for a tiny house, contact Colorado Horse Property today! Photo by Jessie Renée on Unsplash. Do you own a house in Colorado? Need an extra space for relatives to stay? Wanting a detached home office? Looking to supplement your income by renting a space? Is your backyard large enough for a tiny house on wheels. If you answered yes to any of these questions, then there are some things you should know. There are some zoning regulations in Colorado that may effect your decision for building your backyard tiny house. Technically speaking, Colorado law does not define what a tiny house is. When it comes to zoning, tiny houses are usually considered a dwelling or an RV. Tiny houses on wheels (or THOW, as they are known in the community) are classified as RVs in Colorado. 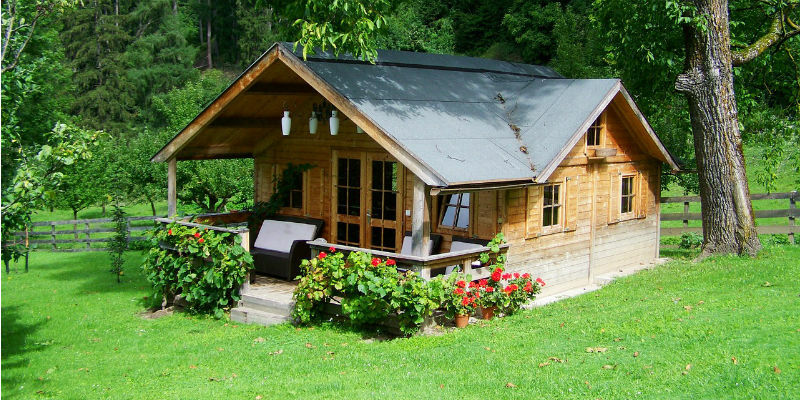 Whether a THOW backyard tiny house is legal will depend on your local zoning regulations. Therefore, you need to carefully review the applicable zoning ordinance or talk to someone at your local planning department. Also, if this is not an option for you, try talking to a Colorado land use attorney. In other words, zoning is how land is separated into districts. Each zone has different regulations that affect land development. To determine what zone your property is in and what uses are lawful, review the appropriate land use code. The codes usually have zoning maps that shows the different zones in your area. 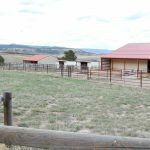 To search through over three thousand homes and land for sale, check out Colorado Horse Property’s search page. Stay tuned to our blog for more information on tiny houses in Colorado. Photo by Geran de Klerk on Unsplash. By definition, separation anxiety is a disorder in which an individual experiences excessive anxiety regarding separation from home or from people to whom the individual has a strong emotional attachment. Horses are prey animals that feel more comfortable in herds instead of by themselves. Therefore, horses can experience separation anxiety from its herd. Most horses have some level of separation anxiety. In cases of mild anxiety, the situation rarely becomes more than a slight inconvenience. However, there are cases in which a horse is so bound to its herd that the separation anxiety is a serious issue. These cases are very dangerous for not only the rider but the horse as well. Horses have been herd animals for hundreds of years. Because of this native behavior, it is common for your horse to feel safest when it is with a herd. Separation anxiety is also common. However, there are ways to change a reaction that is caused by your horse’s survival instinct. First, you will need to build a bond that is based on mutual trust and respect. You will also need to help your horse build confidence. Your horse needs to know that it is safe in your care. Building that trust will start with pushing your horse around a round pen or on a lunge line. This then extends to everything you do with your horse when you are not riding. This includes grooming, hand walking, and just hanging out in the paddock. Every moment counts towards this conditioning. How you behave, what you ask your horse to do, and how you speak to it will establish whether or not your horse feels safe with you. Remember, trust and feeling safe cannot come when force or fear are used. Follow the link for 5 steps on how to reducing horse separation anxiety. 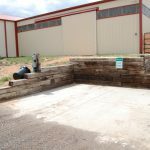 For more information contact Colorado Horse Property today.